It's no secret that mothers, entrepreneurs, business women, stay at home moms, and just about every woman of all ages, and race on this beautiful earth struggles with balancing their every day life and responsibilities. If they stated differently who would believe them? Life is a juggling act of making memories, spending enough time with loved ones, working hard for our money and tackling mile long to do lists. I for one know all too well what it is like to juggle a zillion things all at once. Sometimes I think it would be so much easier if there were 5 of me! First of all I need to be a loving wife, attentive mother, good friend, and keep up with my blog while checking off DIY projects. Not to mention running all the errands, endless laundry and dishes, cleaning the house, grocery shopping, taking kids to the doctor or sports and the list goes on. Somehow we all survive and thrive in our stress. We all handle stress differently and that's ok! Over the years I have learned a lot about myself as I have evolved into the woman I am today. One being I am an introvert. I can get caught up in a whirlwind of activities and I constantly need to destress and quick! That means my husband needs to take the kids for a few hours so I can have the house quiet and to myself. It gives my mind time to refresh and I truly am a better person and mother when I recharge. It really is crucial for me and I know that and I own it. I know when I am getting too stressed and I need quiet time. I start getting irritated easily and feel tired. Sometimes that means I just need to take a shower without the kids running in and out or paint my nails uninterrupted. Can I get an AMEN?! I believe it's really important to recognize what stresses you out and what has the biggest impact on you for recharging. Don't be afraid to ask for help with the kids for a few hours so you can sit on the couch, eat ice cream, watch your favorite show and just breathe! Also, you can make small changes to your life to get rid of the overload. It's ok to say NO to people! You can read more about how saying yes to everyone steals your joy and how to not be a people pleaser HERE. Stress can come from everyday life and especially big events too! Planning dinner parties, weddings, kids' birthday parties, going on a first date, job interviews, awaiting test results and getting something done before the deadline are just a few examples of where stress stems from and not everyone wants to turn to a doctor to manage something that is a part of life. I for one am NOT a fan of prescription drugs. A lot of things can be handled with a lot of prayer, over the counter medicines if needed and natural options too if you prefer that! 6 ways to get rid of stress! 1. Recognize what is stressing you out. 3. Say no to things. 5. Breathe and get some alone & quiet time. 6. Know that everything will be ok! Recently I started googling some natural things to help manage stress. Especially since I am in the middle of selling my house. 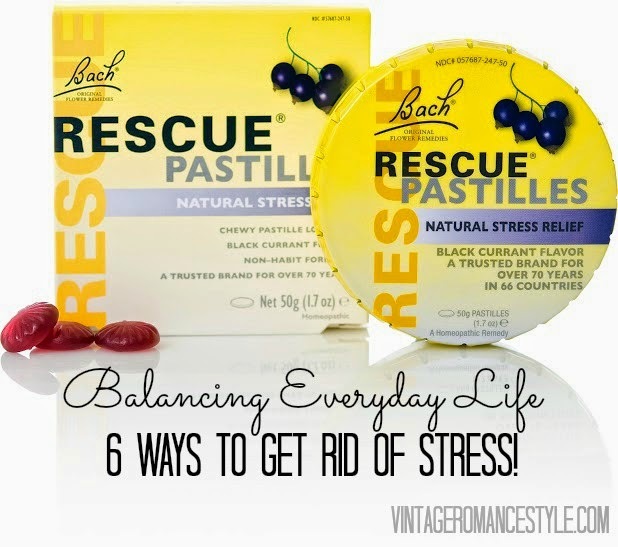 That's when I came across RESCUE Pastilles. 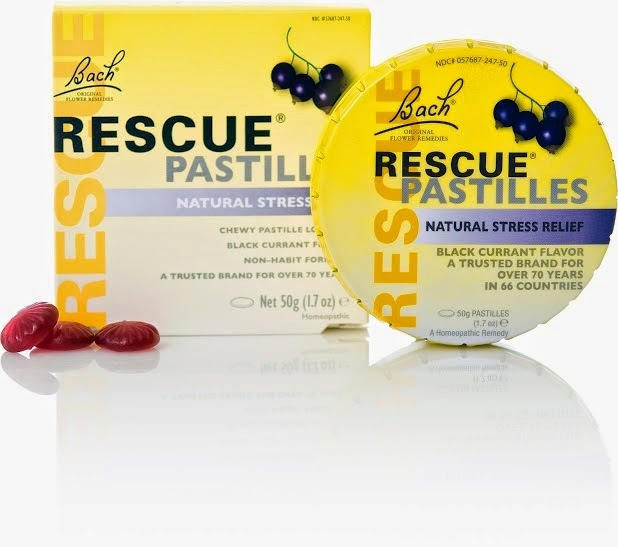 RESCUE is an all natural and homeopathic stress relief. It helps you stress less and stay calm and in control. The pastilles are like little gummies and the black current flavor tastes great. 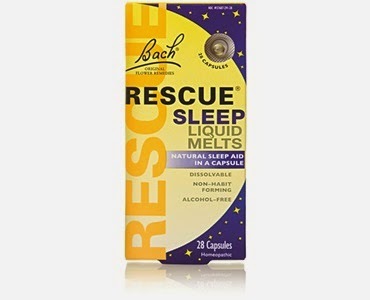 RESCUE also has liquid melts to help you sleep better as well as fast dissolving Pearls for stress relief. I ran to CVS and couldn't wait to try these out! I keep my little round tin of RESCUE in my purse and chew one when I feel a little overwhelmed. You don't have to worry though, it's non-habit forming, no side effects, developed by a doctor and used by millions! All of their products are under $10 so it's a great option to try. You need to remember that you are worth it. Invest time in yourself to rid stress and better your health. Life doesn't have to be very stressful. You can overcome anything and just remember that everyone deals with it. You are not alone! Whatever that is stressing you out will come to pass. Don't be afraid to reach out. You can find your B1G1 RESCUE printable coupon HERE. You can find all of their products at CVS,Walgreens, Whole Foods, Sprouts and wherever you find natural products! So, have you ever tried RESCUE? If not, what are some ways that you manage stress?